I have to confess that I adore my daughter’s bunny rabbit. 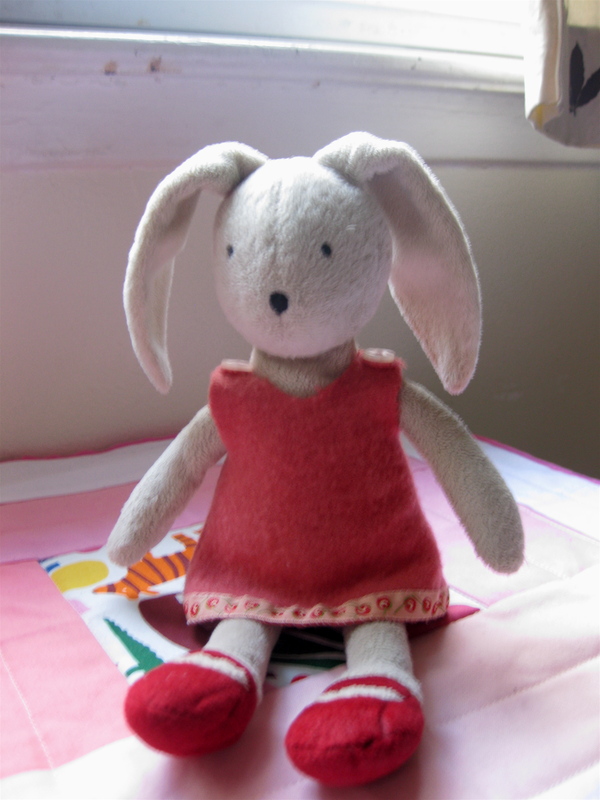 So when she asked me to make Bunny a new dress, I was only too happy to oblige. The dress is made with Mary Flanagan wool felt, which is more flexible and cozy than other felts. Bunny looked so cute in her new attire, who could blame me for suggesting that she might need a cardigan for the chilly days ahead? 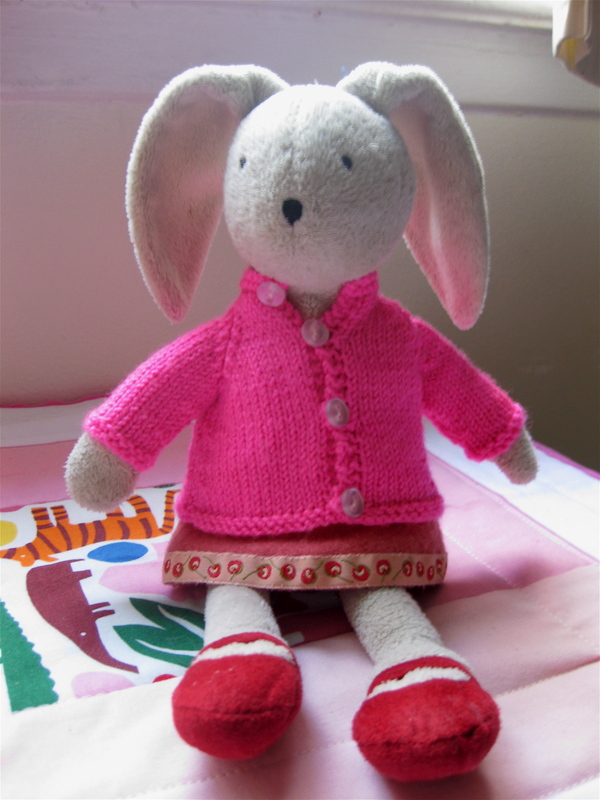 Pretty soon Bunny had a sweet little cardi made from koigu premium merino. Most of the supplies came from my favorite store–purl soho (www.purlsoho.com/purl). Oh, and Bunny is sitting on a doll’s quilt I made using a left over block from my very first quilt.